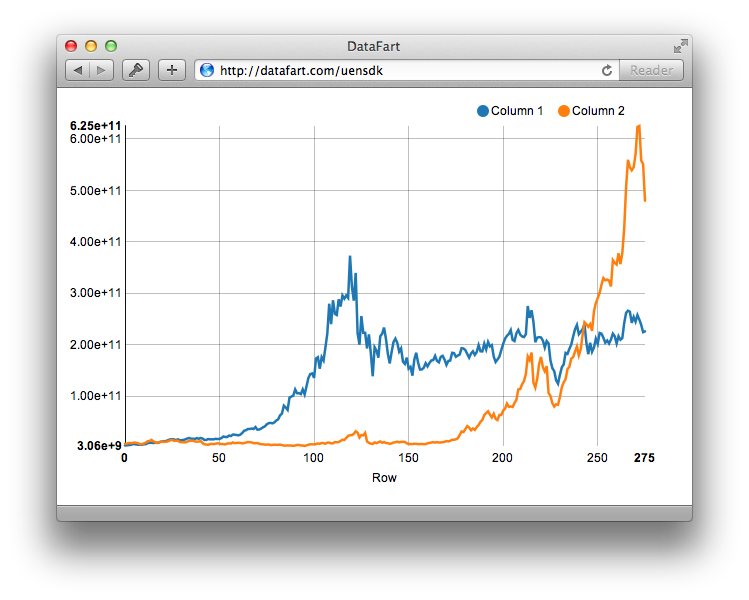 DataFart lets you easily graph data from the command line. Go to the url to see your data. Your data is only kept on the server for ten minutes, so open the url quickly. Data is organized into columns of numbers that will be parsed into 64bit floats. That's it. You might want to put that in your .bashrc so it sticks around for a while. It's probably not for most people. I often need to quickly see the shape of some data, but I can never remember how to use Gnuplot. What graphing library does this use? NVD3. It's a very nice collection of prebuilt d3.js graphs.